« Who remembers the Armenian Genocide? The charge for taking part in this event (including a service book for each singer to take away) is £10.00 for RSCM members and affiliates and £12.00 for others. We will need to know choir numbers in advance so that we can print the appropriate number of service books. Singers are asked to complete and submit the booking form as soon as possible and by Sunday 28 April 2019 at the very latest to make sure that we can have the music copies available in time for the preliminary rehearsal., which takes polace on May 4th at Narberth Community Primary School. We are delighted that Meirion Wynn Jones has agreed to direct this year’s festival. 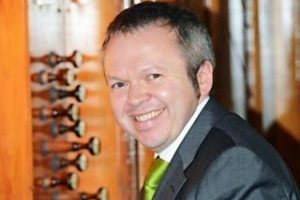 Meirion is a very well-known and highly respected musician based in Carmarthen, who, following a scholarship at the Royal Academy of Music, held organist posts at Westminster Abbey, and Brecon, Liverpool Metropolitan and Winchester Cathedrals. In 2011 he was awarded the Musician’s Medal (Tlws y Cerddor) for composition at the National Eisteddfod of Wales. Meirion has recently writtena new congregational setting of the Holy Eucharist (2004) for St Davids Cathedral. Offeren Glyn Rhosyn is a unison setting which can be sung in English or Welsh and has the needs of parish congregations in mind, so the accompaniment can be played on the organ, the piano, or on a keyboard. In a significant change from previous years, the 2019 Area Choirs’ Festival will therefore take the form of a Choral Eucharist using this setting, which we hope singers will take back to their own churches. The special service booklet will include the service setting, together with the other music for the service. The festival falls within Eastertide this year, so the music will include the hymns At the Lamb’s High Feast we sing to the tune Salzburgand Mi dafla’ ‘maich oddi ar fy ngwar to Meirion’s own arrangement of the hymn tune Tyddewi, and the anthem Ye choirs of new Jerusalem by Charles Villiers Stanford.